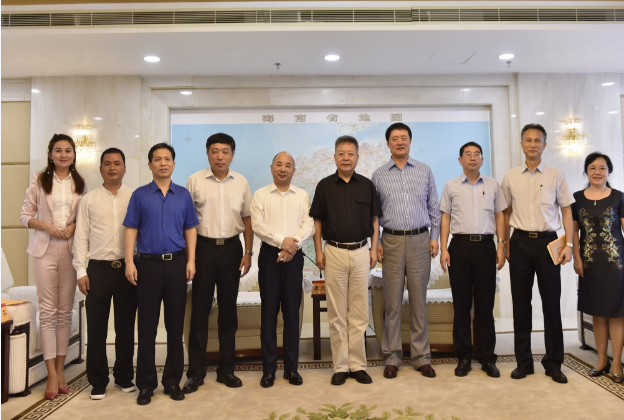 On July 23, Wang Wenyin, Chairman of Amer Group, led a delegation to Haikou City for inspection. 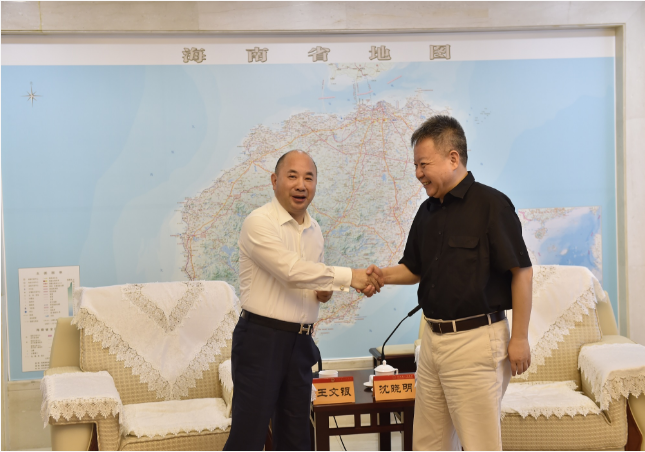 He was warmly received by Shen Xiaoming, Governor of Hainan Province. Both sides discussed in depth the investment and cooperation of the medical and health industry and reached a high consensus. At the symposium, Governor Shen Xiaoming thanked Amer Group on behalf of the provincial party committee and the provincial government, for its concern and support for Hainan's economic and social development, and congratulated Amer Group on its 111th place in the Fortune Global 500. Governor Shen Xiaoming introduced the planning and progress of the Hainan Free Trade Pilot Zone, especially in the strategic layout of tourism, health and high-tech industries. He hoped that Amer Group would make Hainan province an important target market and a key investment area, giving full play to Amer Group's Fortune 500 industry advantage and resource advantages, which made a difference in the fields of health and tourism. 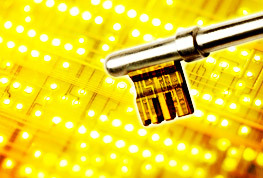 And it would contribute to the economic and social development of Hainan and achieving win-win cooperation. Chairman Wang Wenyin thanked Governor Shen Xiaoming for his cordial meeting and briefly introduced the development of Amer Group. 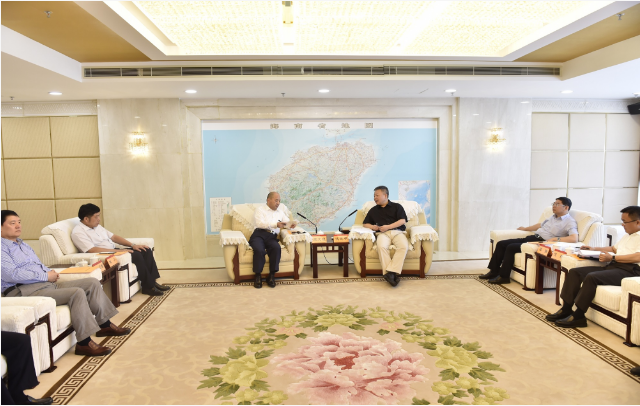 He said that Hainan province is known as ‘Health Island’ and ‘Longevity Island’, which has good resource endowments and natural advantages in developing health industry. With the continuous promotion of ‘Healthy China’, Hainan medical health industry has formed a new pattern of industrial development in Hainan style. Chairman Wang Wenyin said that at the 40th anniversary of China's reform and opening up and the 30th anniversary of the establishment of special economic zones in Hainan Province, the Party Central Committee has given Hainan Province a new historical mission and a new orientation in accordance with local conditions. 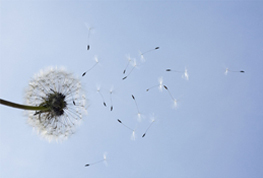 Amer Group's health industry development strategy is highly consistent with Hainan's strategic positioning. It is hoped that both sides will strengthen cooperation and achieve a win-win situation. 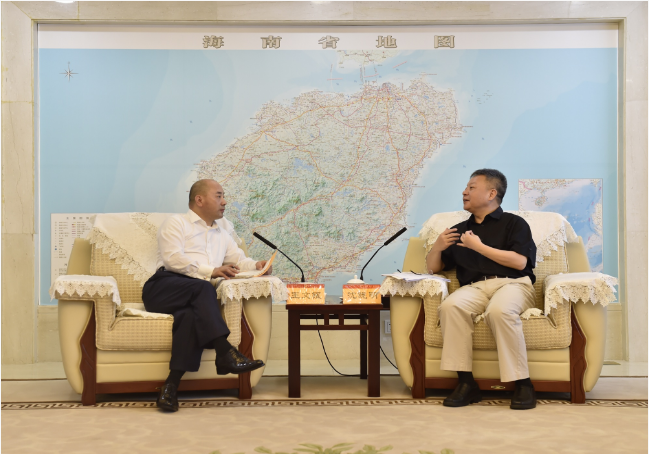 Chairman Wang Wenyin made a number of suggestions on the next reform and development of Hainan Province, and he was highly recognized and grateful by Governor Shen Xiaoming.